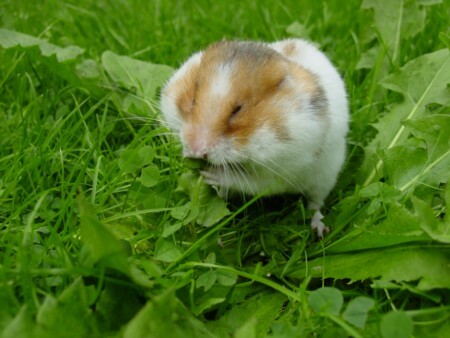 Hamsters are stout-bodied rodents, with tails much shorter, and have small furry ears, and short stocky legs. Hamsters are nearsighted and colorblind. However, they have an acute sense of smell and can hear extremely well. All hamsters are excellent diggers, constructing burrows to avoid being caught by predators.